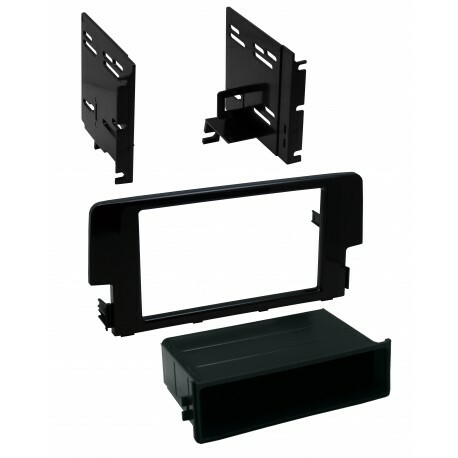 Installs one single ISO radio with a pocket below or one double DIN (2-DIN) radio in the factory radio location. The kits are finished in high-gloss black for an attractive original equipment (OE) factory look. The multi-piece kits include the main bezel with a removable pocket, hardware, and instruction manual.